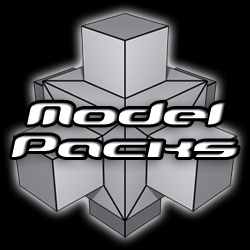 In this section I've compiled some of my old WarCraft III models in packs which you can download and use in your own maps. Give credits if you are using any of these models in your own projects. Please do not distribute or modify these models without my permission. Open your map and import the model file (.mdx) into the Import Manager (F12). If there's any texture files (.blp) nearby - either in the same folder as the model or in a Textures folder - you will need to import those as well. If textures are present, open the Texture paths.txt file next to the textures and rename the textures Full Paths (Double click the file and check Use custom path) to match those in the text file. Model files does not have to be renamed, you can name them whatever you want for the sake of file organizing. Once you've done that; save, restart World Editor and re-open the map. Open the Object Editor (F6) and find the unit/doodad/destructible/item/whatever you want to change model for and look for its model field (Usually under Art - Model) and replace it with your newly imported model file. Congratulations, you've now successfully imported a custom model.